Labour’s Oisín Quinn – nephew of minister Ruairí – could be one of the last mayors not to be directly elected by the public. DUBLIN HAS A new Lord Mayor this evening. Labour councillor Oisín Quinn has been elected to the office this evening, at the annual general meeting of Dublin City Council. Quinn, a councillor for the Pembroke-Rathmines area and a nephew of cabinet minister Ruairí Quinn, succeeds Fine Gael’s Naoise Ó Muirí. His appointment comes as the final year of an electoral pact between Fine Gael and Labour members of the country’s largest local authority. He will take up residence at the Mansion House on Dawson Street for a year, with a new council to be elected next May. Quinn may be one of the last mayors of the capital not to have been directly elected – with plans in place for a plebiscite of Dubliners next year to ask them if they want the mayorship to be a more powerful office whose incumbent is directly elected by the people. “During my term of office I will strive to ensure that the role is not merely a symbolic one but one that will act as a driver for positive change in the city,” he said this evening. The new mayor says he wants to make Dublin more family-friendly, and to help promote the capital as a venue for leisure sports and triathlons. 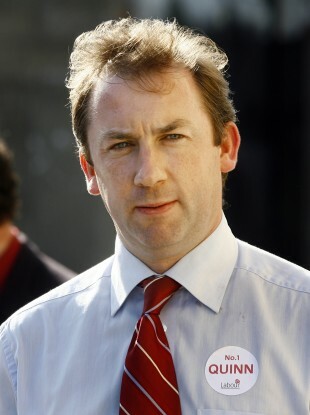 Another Labour councillor, Henry Upton from the Crumlin-Kimmage area, was elected as Quinn’s deputy. Quinn’s appointment comes little over a year after the Standards in Public Office Commission found him to have contravened ethics guidelines. Quinn had failed to disclose an interest he held in a property on Mount Street, Dublin 2, which was “material” to motions before the council in December 2009 and July 2010. The commission found, however, that the breaches were minor and inadvertent. Email “This man is the new Lord Mayor of Dublin”. Feedback on “This man is the new Lord Mayor of Dublin”.